For several decades, transitions of long-term pastors will represent one of the most traumatic experiences for most churches. A misstep, based on poor planning, is one of the most expensive mistakes your church can make — and you may pay for it for at least 10 years! Pastor transition planning is the best investment your church can make for a healthy and vibrant future. 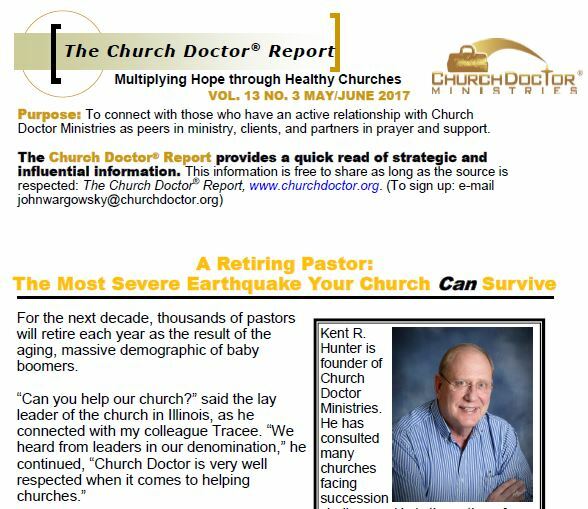 This issue of the Church Doctor Report focuses on the best practices of succession planning. It is based on real-life experiences from consulting dozens of churches that are saying goodbye to a pastor, while making the best informed choices about the next pastor to lead their churches. Read the full PDF version of this Church Doctor Report.